Very colorful ornaments are used primarily to decorate Ceramic Christmas Trees but are also useful as decorations for ceramic wreaths and as replacement pegs on some board games such as Pegs and Jokers. This ornament is most often used on ceramic trees measuring 11inches to 14 inches in height. The colors look best when illuminated with an electric fixture inside the tree or wreath but the colors are rich and attractive even when they are not illuminated. 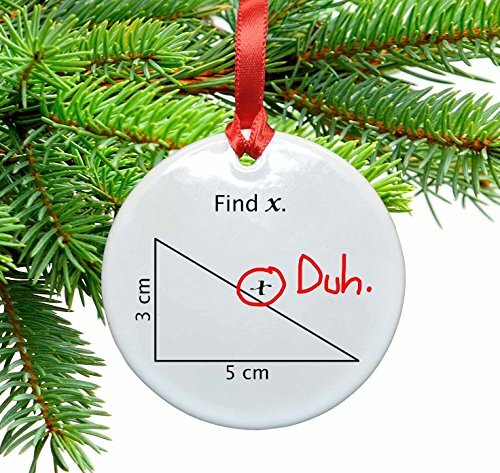 The approximate sizes for these ornaments are 1-1/16 inches overall and 3/8 inches at the widest measurement. The stem is approximately 7/16 inches long and 3/16 inches in diameter. 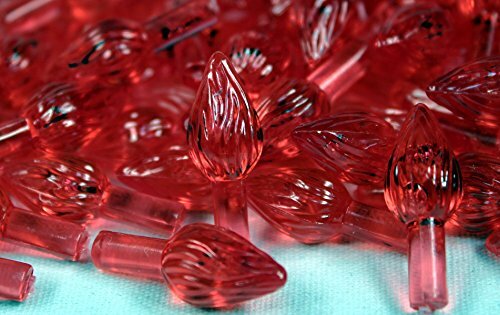 Included in the package are two stars, one crystal clear and the other a transparent red. Each star measures 2-3/4 inches wide, and 4 inches overall including the stem. The stem measures approx. 1 inch long and is 3/16 inch in diameter. 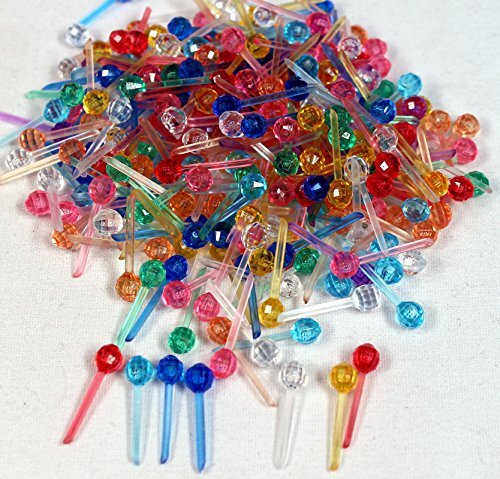 This offer includes 144 ornaments plus a red and a crystal star for a total of 146 pieces. This 2.85 inch diameter ceramic ornament is permanently imprinted with earth friendly ink. Printing will not rub or peell off. 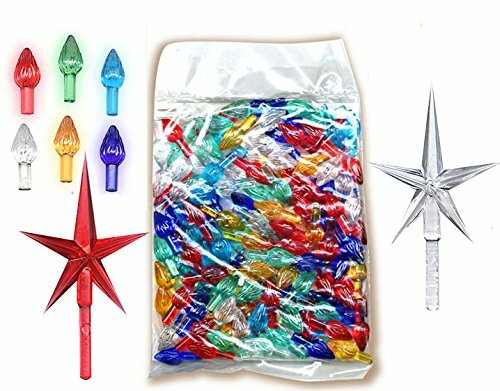 Christmas tree plastic light up twist small 1/2'' H x 5/16'' W overall Stem: 3/8'' L x 1/8'' D assorted colors. 144 quantity/asst. 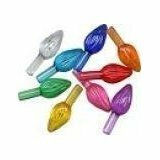 colors quality bright color replacement bulbs for your ceramic tree.Quality & clarity are most important in bulbs. Make your tree look new again.Restore heirloom family trees to original condition with our quality bulbs. Fast shipping & tracking incl. 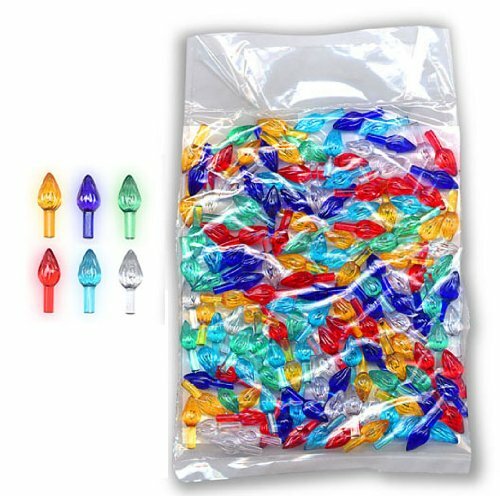 These bulbs also used for Pegs & Jokers game. National Artcraft Purple Ornaments For Ceramic Christmas Trees-90 Pcs. 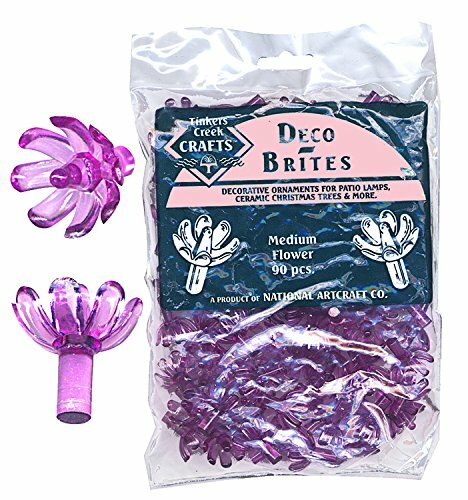 Purple color flower style ornaments are used primarily to decorate Ceramic Christmas Trees but are also useful as decorations for ceramic wreaths and as replacement pegs on some board games such as Pegs and Jokers. This ornament is most often used on ceramic trees measuring 11 inches to 14 inches in height. The colors look best when illuminated with an electric fixture inside the tree or wreath but the colors are rich and attractive even when they are not illuminated. The approximate sizes for these ornaments are 13/16 inches overall and 3/4 inches at the widest measurement. The stem is approximately 3/16 inches in diameter. 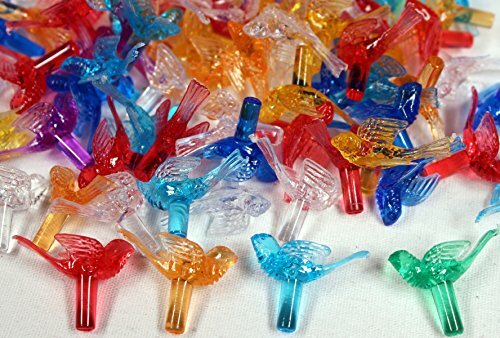 Assorted Color Ornaments For Small Ceramic Christmas Trees-288 Pcs. Very colorful ornaments are used primarily to decorate Ceramic Christmas Trees but are also useful as decorations for ceramic wreaths and as replacement pegs on some board games such as Pegs and Jokers. This ornament is most often used on ceramic trees measuring 8 to 12 inches in height. The colors look best when illuminated with an electric fixture inside the tree or wreath but the colors are rich and attractive even when they are not illuminated. The approximate sizes for these ornaments are 7/8 inches high overall and 5/16 inch at the widest measurement. The stem is approximately 3/8 inch long and 1/8 inch in diameter. This offer includes a total of 288 ornaments. Compare prices on Ceramic Christmas Tree Ornaments at ShoppinGent.com – use promo codes and coupons for best offers and deals. Start smart buying with ShoppinGent.com right now and choose your golden price on every purchase.